Your Limitations CANNOT Limit Your God . . . Just Give Him Your Lunch! 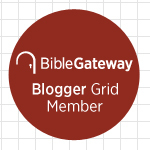 The Mephibosheth blog post was a public declaration of sorts. A kind of notice that I am going to spend a year at the King’s Table with hopes of coming to know my God in a deeper and more passionate way. Are you familiar with the expression “I bring nothing to the table?” Well, for this particular occasion truer words were never spoken. But, in spite of my nothing to offer, I am pulling up my chair and leaning in close. Sister, I can’t speak for you but I have spurts in life when I feel a little harassed and a lot helpless and the idea that Jesus has compassion on me in that state is beautiful to me. And I love the plain language of the thing. It just hits my soul like cool water. So a day and one-half had passed and the seat at the table felt pretty comfortable—a heart-to-heart mother/daughter worship paired with a new soul discovery. I only had about four hours left until bed time and then I could begin Day Three. So much can happen in four short hours and the “pretty comfortable chair” can quickly become uncomfortable. Like leather on a hot summer day when you’re wearing shorts. Have you ever encountered a situation when you’re uncertain how you should handle it and so maybe out of habit or maybe because it’s what you know, you just plow ahead doing what you’ve always done? That’s where I found myself – not out and out rebellion because I began very measured and careful. But I soon heard myself choosing to serve my own agenda rather than surrender to love – and very quickly those four short hours before bedtime became somewhat nightmarish in my own mind. If the blog has not clued you in to this, I like to share life and I like to talk – that gets me into trouble sometimes. God has done such a mighty work in me and really refined what I say and how I say it, but there are still times when that weakness, that desire to share my opinion, rears its ugly head and bites me. The evening of Day Two was just such an occasion. 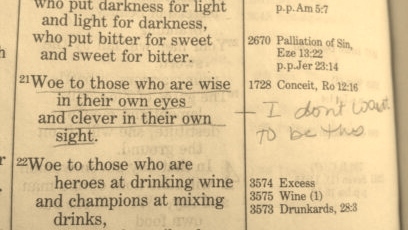 What I see with those two verses, one in the Old Covenant and one in the New, is that I’m best to sometimes keep what I think to myself. And in this instance, I didn’t feel as if I heeded God’s exhortation very well. Those around me weren’t offended and I did offer apology but I still didn’t sleep well that night. I poured my heart out in confession but I was still left with this twisted stomach and I’m going to just say it – SHAME – in the pit of my heart. All of that serpent talk was whispering in my head, “you did this again?” . . .”God is so disappointed in you” . . . Talk about feeling a little harassed and a lot helpless. Now you know and I know that there is now no condemnation for those who are in Christ Jesus and true repentance means restoration for the soul. Freedom in His Name–It’s my greatest joy. But no matter how I prayed, I couldn’t get my heart to match up with what my head knows to be true and that sick feeling just sort of sat there. So, I started asking God to show me how this instance was fitting in with everything else He seems to be about the business of doing in my life. And in His faithfulness, He spoke to me – slowly so I could understand! He reminded me of the places we had been in Scripture the past few weeks and of the ache I had professed to Him to see others be in awe at His miracles. That’s supposed to be what miracles do — point to the greatness of God and leave us slack-jawed at His goodness and His power. 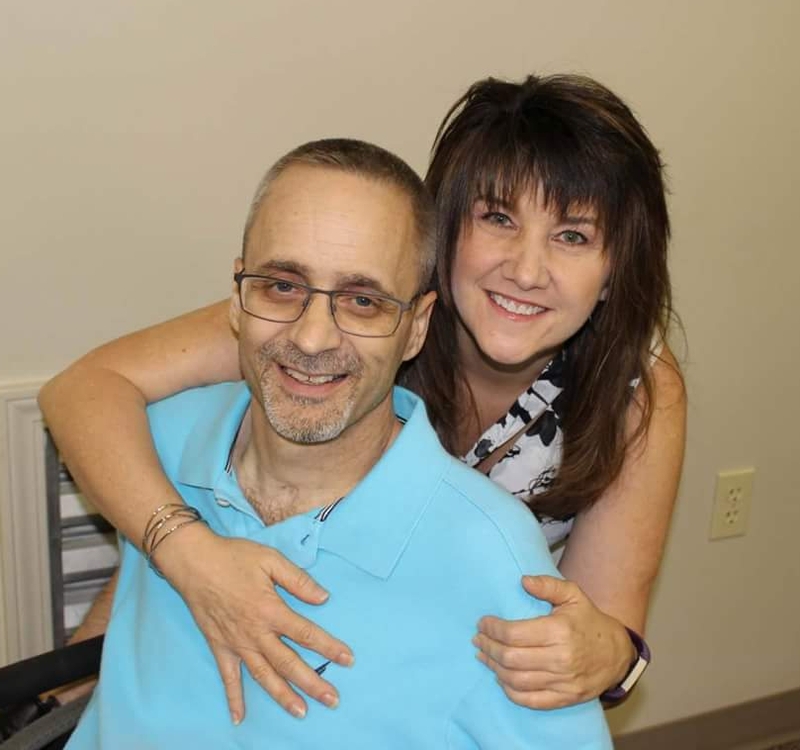 I had prayed to inspire people to want the transformation that only Jesus brings about and I had prayed to fall more deeply in love with my Savior. I guess I just really hadn’t anticipated that for others to see the transformation that this year at the King’s Table will bring about in me – they have to know the starting point. Ouch! And perhaps I needed a reminder as well. See how true it is that I don’t bring much to the table? But even though it isn’t much, I’m offering it up and asking God to bring about a mighty change and I’m trusting that He will. Not based on me, but based on Him. God took the small amount given and HE made miracles happen. The limited amount He received placed no limitation on the blessing that He gave. We simply cannot confine the miraculous. Christ took the boy’s lunch, gave thanks and distributed it to “those who were seated” – He transformed famine to feast. The ones sitting at His feet brought “nothing to the table” but they walked away filled by His goodness. 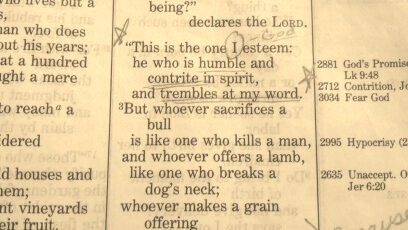 A Sweet Sister asked me recently, “Bunny, will you give God your lunch?” She was referring to this very passage. At the time, I chalked it up to the things in the long string that I talked about in The Invitation blog post beckoning me to pull up a seat at the King’s Table. But I think, now that I have returned an RSVP of “Yes Lord,” that I’m beginning to see the question a little more clearly and in the process, maybe part of the answer as well. I don’t have to bring much to the table. But what I have, I need to be willing to give to Him and trust Him to multiply the ordinary in Extraordinary ways. He will not be limited by my limitations. Isn’t that beautiful? And I can’t hide the miracle transformation. For people to praise God for the transformation, they need to know the less-than that He started with. So I’m not glad that I repeated those old patterns, but I am thankful that God has shown me this early in the journey that if I will give Him my lunch, He will turn my famine to feast. He’ll take my not much and make miracles with it. That’s who He is and it’s what He does. God loves to bring the Miracle More from our much less. Sisters, I have to tell you, if the first three days are any indication of what will be distributed to the “one who is seated”, then at this point I am certain that I have no idea of the depth of the transformation that is going to take place. No idea of the Miracle More He has in mind to bring from the much less that I am offering Him. So may I be so bold as to ask if you have pulled up your own chair? Have you taken your seat at the King’s Table or claimed a patch of grass on the mountainside at the feet of Christ? Don’t worry about the “nothing that you bring” – it seems to me that making much from nothing is His specialty. Every person blessed to know Grace brings that sentence to life. The Word is clear. Scripture upon Scripture confirms it for us. Our God will never leave us empty handed. He will always bring us feast in our famine. And He will not be limited by our limitations. 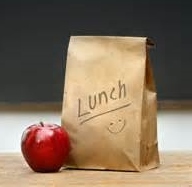 So the question remains Sweet One . . . .
Will you give God your lunch? Tags: glimpsed glory, God's love, Hebrews 13:8, Isaiah 5:21, Isaiah 66:2, John 6, King's table, Malachi 3:6, Matthew 14, Matthew 9:36, Mephibosheth, transformation, Will you give God your lunch? Miss Jen — your words have blessed me more than you will ever know 🙂 What a wonderful encouragement you are! As I read this I realized that sitting at the table it is much easier to watch for where He is working and join Him in that work. Something, you know, He has been calling me to for several years. Thanks for your faithfulness to what He is doing in your life. Jesus did what He saw the Father do and He was seated at the right hand of the Father– so that sounds spot on to me! Praising God with you for His faithfulness!